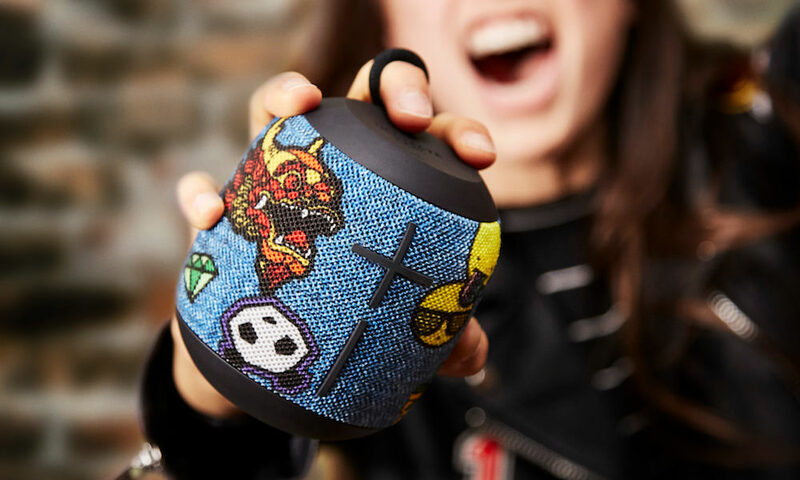 Logitech (SWX:LOGN) (NASDAQ:LOGI), a leading manufacturer of multimedia speakers, today announced the LogitechX-540 speaker system, an affordable surround-sound system designed for gamers, which solves two distinct problems. The X-540 system enables people to enjoy the experience of surround sound even with two-channel audio sources, by including matrix surround-sound technology. 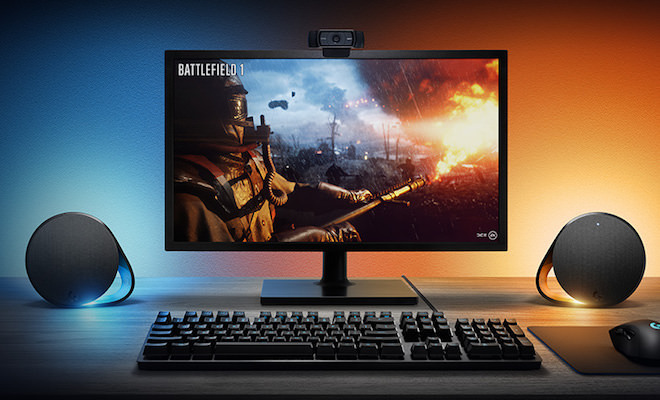 And for those playing games using a flat-panel display with no convenient place to set a center-channel speaker, Logitech’s patent-pending integrated center-channel clip gracefully and securely attaches the speaker atop the monitor, saving desk space. Audio sources – including many games and nearly all digital music – are coded only for stereo sound, limiting the purpose of having a 5.1 system. 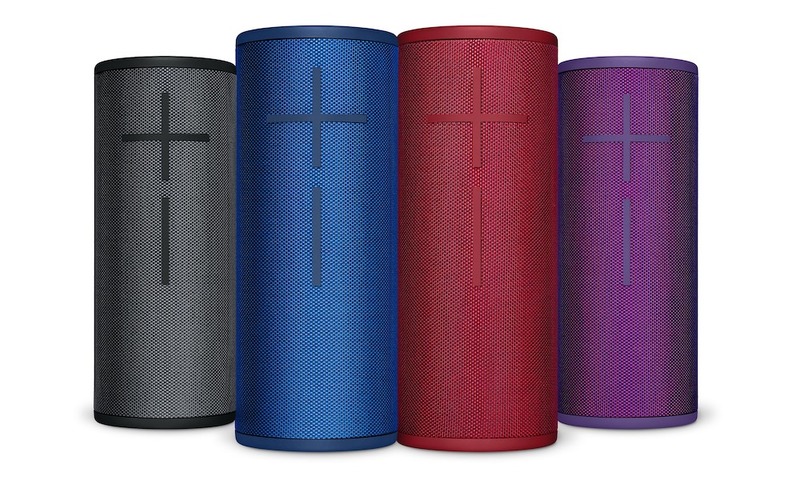 The Logitech X-540 speakers, the company’s first to offer matrix surround-sound technology at a price under $100 (U.S.), split an audio signal to create five channels of sound from common two-channel stereo sources – and without distorting the audio quality. For convenience, the matrix button is located on the control center, along with the power button, volume controls and a headphone jack. Many gamers today are using flat-panel displays – however, unlike traditional CRT monitors, these displays don’t offer a flat place on top for a center channel speaker to rest. Logitech solves this with its patent-pending center-channel clip, another company first. The clip securely fastens the center speaker to the back of the display’s top edge. For gamers who still prefer CRT monitors, the center-channel clip also acts as a speaker stand that can sit atop the monitor or in front, on the desk. With a dedicated center channel and acoustically matched front and rear satellites, the Logitech X-540 system produces balanced surround sound. 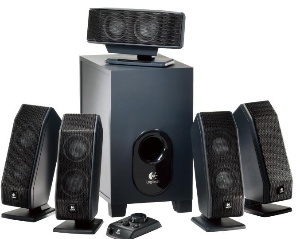 The X-540 speakers use Logitech’s Frequency Directed Dual Driver technology. This technology helps the speaker system produce richer sounds by having two drivers in each satellite speaker. It also overcomes high-frequency overlap that leads to uneven sound – a major barrier to dual driver speakers in the past. The result is uniform, intense sound from any place in the room. The combination of five satellites plus subwoofer delivers 70 watts of power using the audio industry’s official RMS (Root Mean Square) measuring system. The system also includes a down-firing subwoofer and a dynamic, real-time equalizer that maximizes bass while minimizing distortion. When compared to Logitech’s other X-series speakers, the X-540 speakers feature a new industrial design that adds more angles and style to the five satellites. Durable metal grilles protect the satellites and a down-firing design shields the subwoofer driver. With a convenient headphone jack built into the control center, people can also enjoy their games or music privately. The Logitech X-540 speaker system is expected to be available in the U.S. and Europe beginning in November. Its suggested retail price in the U.S. is $99.99. Logitech, the Logitech logo, and other Logitech marks are owned by Logitech and may be registered. All other trademarks are the property of their respective owners. 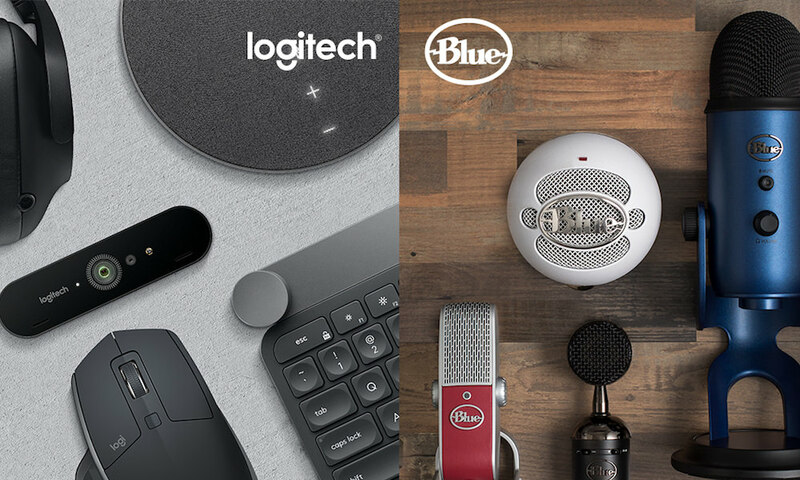 For more information about Logitech and its products, visit the Company’s Web site at http://www.logitech.com.